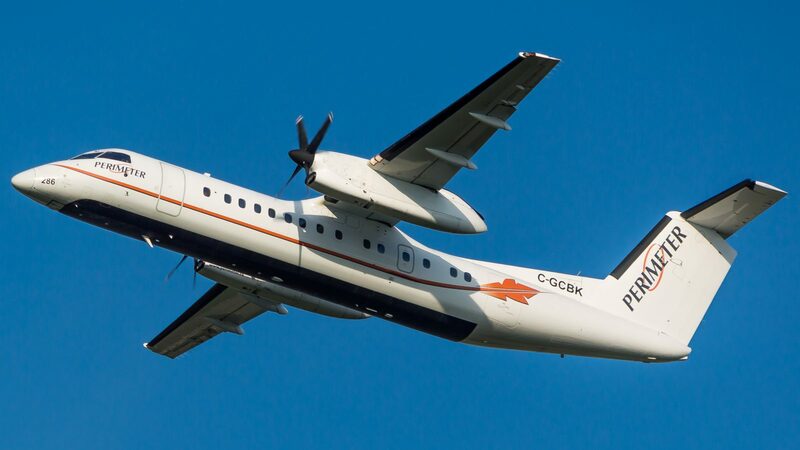 The Dash 8-300 commuter turboprop is our largest, most comfortable aircraft, capable of transporting up to 50 passengers per flight. 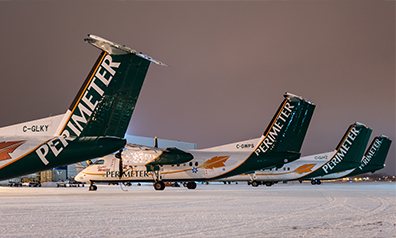 With a cruising speed of 290 mph, and a range of 1600 statute miles, the Dash 8-300 is capable of efficiently flying non-stop to almost any destination in North America, including remote airstrips with short gravel runways in adverse weather conditions. 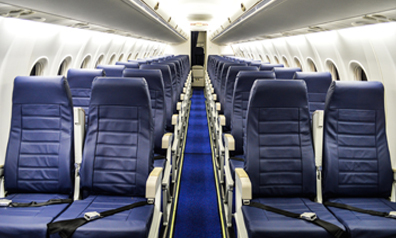 Passenger amenities include full-leather interior, on-board lavatory, complimentary refreshments, and a flight attendant to help ensure your safety and comfort. Payload For a 400 SM trip, the payload is 12,600lbs. Note: Reduce payload by 500 lbs for every additional 100 SM. If fuel is not available at destination, payload will also be reduced.